E.B. Smith grew up with a father who, as baseball player with Chicago Cubs, understood what it meant to dream. The Chicago Cubs hold Major League Baseball’s longest championship drought going from 1908 to 2016 without winning a world series. Smith’s father understood the value of hard work and practice in pursuit of a dream. So when Smith’s dream of performing at The Stratford Festival finally came true he took his father on a tour of the Festival theatre to share his joy and excitement of performing in the legendary theatre. Together they snuck onto the thrust stage and Smith’s father had the opportunity to stand where legendary actors from Brian Bedford and Len Cariou to Maggie Smith and Jessica Tandy have performed. Looking around the theatre from centre stage Smith’s father said “So this is the big leagues? This is your Wrigley Field,” comparing the Festival stage to Chicago’s legendary baseball park. Smith’s mother was an academic, in our conversation Smith describes his home life as an eclectic scene with athletes, deep thinkers and a grandfather with a great sense of humor. 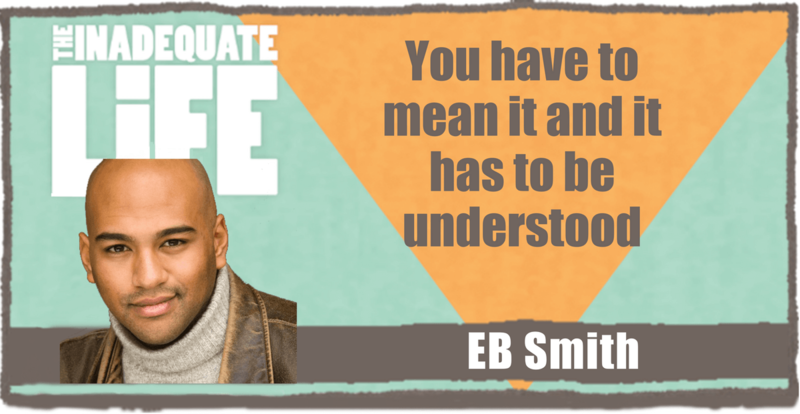 Our podcast covers Smith’s path to success, from his home in Chicago to university in Ohio and life as an American born actor working in Canada. Check out episodes that also mention acting, shakespeare, Stratford Festival, teaching.